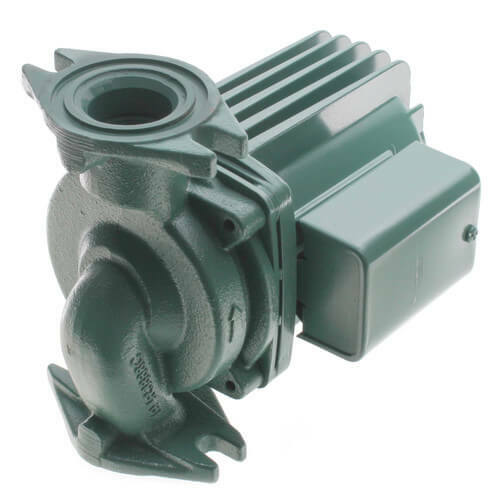 The Taco High Velocity Series 0011 Cartridge Circulator is specifically designed for high-head/medium-flow applications in large residential/light commercial closed-loop hydronic heating and chilled water cooling systems. Exclusive, anti condensate baffle (ACB) protects motor windings on chilled water jobs. Available in cast iron or bronze construction. Bronze can be used on open-loop systems. Unique, replaceable cartridge contains all of the moving parts so you can service it easily instead of replacing the entire unit. Universal flange-to-flange dimensions and orientation allow the 0011 to easily replace other models.